The Horizon Residences is a brand new and looking sleek amidst the see of luxurious serviced apartment located along Jalan Tun Razak, Kuala Lumpur City Centre. 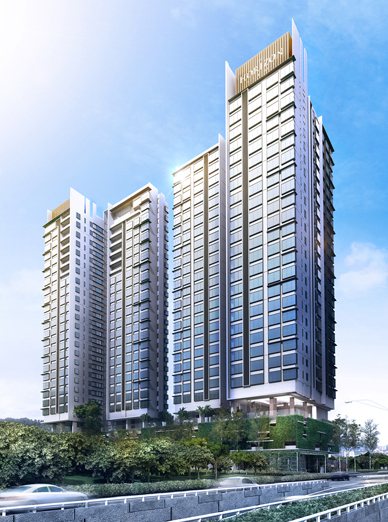 Launched back then in 2012, this promisinggem of property sets a new benchmark for KLCC modern living. 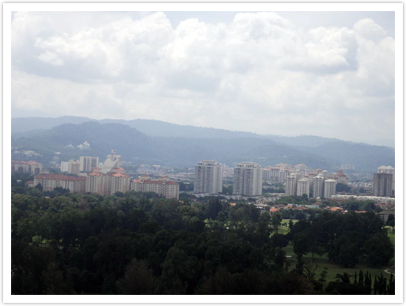 With two choices of stunning views to choose from which are dramatic skyline of KLCC view or and the lush, calming greens Royal Selangor Golf Course, The Horizon is for sure a high value apartment with GDV of RM355 million. It was further revealed that this 26 storeys apartment had it 40% of the units sold out even before the official launch. As there will not be any commercial components in this development, this green building with certification criteria for Malaysia’s Green Building Index offers its residents with a 'resort within the city' atmosphere. The ideal Bright Hall 明堂 is formed at the golf course located at the rear development in the East and Northeast sectors. The residents will not only enjoy the beautiful scenery of the golf course, but they also can gain a lot of benefit from it as the classics stated that the Bright Hall 明堂 is a place for Qi to gather and it is an ideal landform feature for the one who harnesses it. 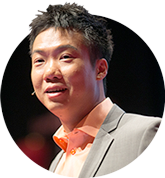 “Flowing water symbolises income.” In Feng Shui theory, in order to collect the prosperous Qi for wealth, we must have water. As stated by the classical Feng Shui, this could be a river, lake or natural pond. As long as it is flowing in an unthreatening way, it symbolizes good income. For this development, we discovered natural water features surrounding it and tapped into its Qi. 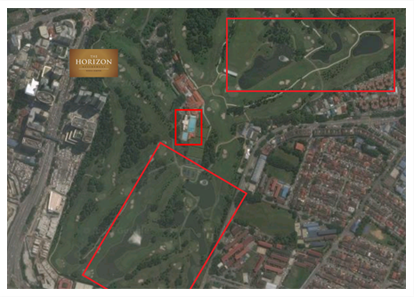 The pond located to the Southeast and a swimming pool at the East sector from thv proposed development are ideally located to collect and activate positive Qi for the property in Period 8 and 9 (2004 until 2043). 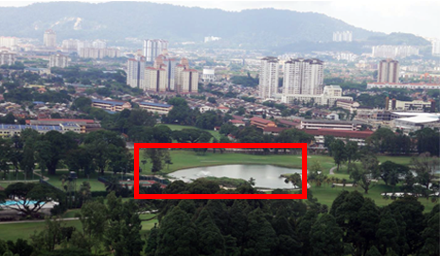 The photo above indicates the pond located to the Southeast sector from the proposed development. This water feature is ideally located to coagulate and activate positive Qi for the property in Period 8 and 9 (2004 until 2043). The photo above indicates the Swimming Pool located to the East sector from the proposed development. This water feature is also ideally located to coagulate and activate positive Qi for the property in Period 8 and 9 (2004 until 2043). The water located to the Northeast sector however is regarded as a drawback in terms of the location of the Water element. This water feature is a drawback because it collects ‘untimely’ Qi for the proposed development in Period 8 and 9 (2004 until 2043). 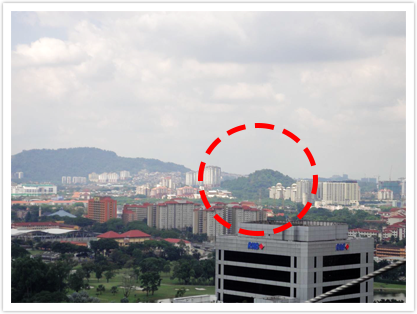 A fundamental of Feng Shui advises to live with mountains surrounding. The reason for this is the people who live near mountains will be healthier and more prosperous. Mountains can be interpreted based on their shapes as well as their abundance or lack of greenery. Mighty mountains are formed by the magnetic pull of cosmic forces, generating "Qi" that affect our lives. And these "Qi" are carried and dispersed by the wind and preserved in the water into our environment. This is the law of Nature. From our assessment, we uncovered several majestic mountain formations in this development and tapped into its Qi. The main Incoming Dragon 来龙 (main mountain range and source of Qi in the area) is located to the Northeast sector of the proposed development. This mountain range forms a Crane’s Knee Mountain Formation 鹤膝. The apartment buildings in the proposed development should ideally tap into this mountain range. Broken Soldier Mountain formation is a very impressive mountain. It has a round-ish top with a lot gigantic size “Teeth” extending from the top to the foothill. The foothill is usually “untidy” as the “Teeth” veins tend to end unevenly. In this project, Broken Soldier Mountain Formations referring to the groups of mountains located to the North of the proposed development. 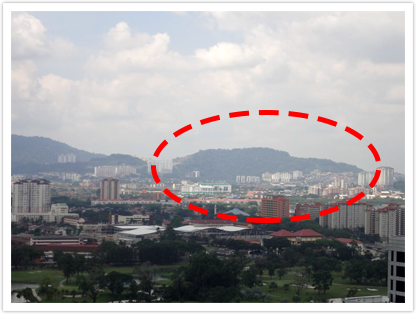 These two mountain formations are ideal for the Feng Shui potential of the property as they generate positive Qi for the area in Period 8 (2004 until 2023). 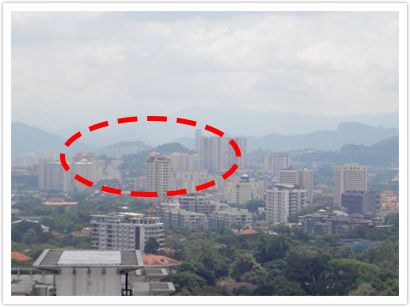 The apartment buildings should ideally be constructed to tap into these two mountain formations to utilize the beneficial Qi from these mountains. Wealth aspect such as for business and financial matters is very important for the residents in The Horizon. We discovered a Huge Door Mountain巨门星located to the Southeast 2 sector of the proposed development. Huge Door Mountain巨门星 is said to enhance the wealth aspect of the occupants that tapped into its Qi. One can recognizes it as it has a flat top and square shape body which slants downward on the sides. Our detailed of Feng Shui assessment on this development shows that the people that chose to stay in The Horizon will receive a lot of positive Qi emanates by the Greedy Wolf Mountain 贪狼星 formation. As we tapped into its Qi, this mountain formation is ideal for improving status and authority aspects of occupants within the proposed development. The Greedy Wolf Mountain 贪狼星 is located to the South 1 sector of the proposed development.